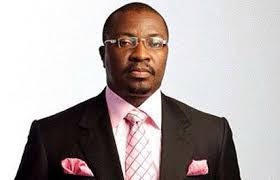 Comedian Alibaba wants the Federal Government to give him the $322m loot of late President Sani Abacha to to transform the National Theatre instead of sharing it among poor Nigerians like the government have proposed to do. Alibaba talked about how he can transform the place within three years if given the $322m. He believes he can turn it into a world class Formula 1 circuit and return the capital back to the Government later. He strongly believes that sharing the loot as planned will not make Nigeria great. Taking to IG he wrote; “I have a proposal for the federal government. Instead of (sharing) the Abacha loot, give me the money, let’s (transform) the National Theatre, Lagos, to a world class F1 circuit and create many opportunities from that place, and in (three) years we can still give you back this same amount you are about to share. “Because if you share this money, it will go down the drain. If you give it to me, I will give it back to you in 3yrs and you can go on and share the same amount. “And think about it, if it was shared would it be available to be shared now? About the same size of land is what is now a tourist attraction in Abu Dhabi… with multi-economic dynamics. Sharing the money will not make Nigeria great.